Boy do I feel like an idiot. I thought I had posted this already. I spotted these photos as I was backing up a bunch of images when it occurred to me that I never blogged about them. DOH! 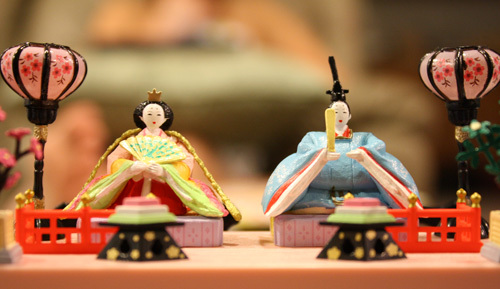 I meant to post this on March 3rd, for Girl’s Day, a Japanese celebration called Hinamatsuri. Isn’t that just wonderful? 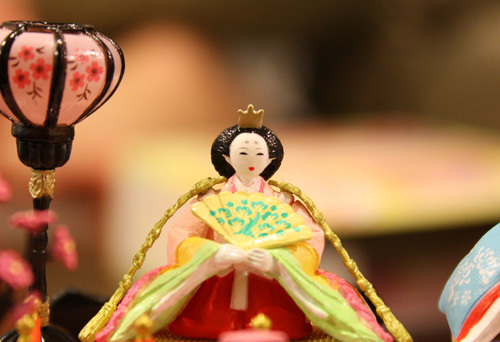 A national holiday devoted to displaying and celebrating these gorgeous dolls and its history. As a kiddie, I’ve seen these dolls displayed in museums and have always wanted one (or two, or three, or a whole army of them). It’s nice that I finally have a set to call my own (miniatures do have its perks). The set seems to be in 1:6? or even 1:10? Well, they’re dolls, so I guess I can say they’re very large dolls for 1:12. I purchased this Re-Ment set via Amazon a while back. I don’t quite remember how much I paid for them, but I think it was less than $15 with free shipping. Unfortunately, the thing with Re-Ment is that they only make a limited amount of most of their sets and after the batches are sold out, that’s it. 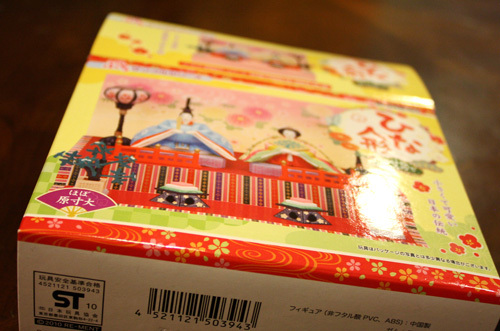 This set was the second version of the Hina dolls and I snatched it up pretty quickly. While it’s no longer available on Amazon (can’t seem to find it), they’re still available on Ebay if you’re interested. I wouldn’t be surprised if Re-Ment keeps coming out with new Hinamatsuri sets every few years. They’re pretty dang popular (and awesome). Thanks CM! You lucky duck, I would love one of these dolls. You should post some pictures of yours! It is so difficult to find Asian miniatures. I don’t mean made in Asia, but the style.